itelligence met our expectations perfectly with care, precise planning and expertise. Opting for SAP S/4HANA 1610 has brought many advantages for us and our business operations: More efficient processes, more transparency and an increased flow of information that also benefits our employees. In addition to the intelligent storage battery “sonnenBatterie”, sonnen meanwhile offers a lot of services for clean energy. These include, for example, the networked energy community sonnenCommunity as well as sonnenFlat, where customers no longer have electricity costs. Next to the headquarters in Wildpoldsried, sonnen Group has further locations in Berlin, Great Britain, Italy, the USA, and Australia. Among others, further markets are Austria, Switzerland, Ireland, the Czech Republic, Sweden, Norway, Finland, Spain, France, and Portugal. sonnen GmbH’s around 500 employees generate annual sales of about EUR 85 million. Read more about how sonnen GmbH together with itelligence could realize a lot of advantages by implementing SAP S/4HANA 1610, e.g. more efficient processes, more transparency and an increased flow of information. 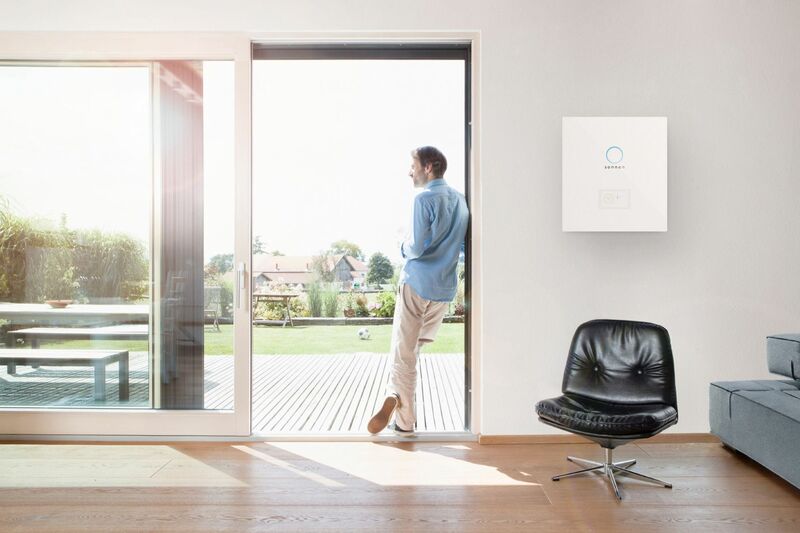 Guided by the vision of providing clean and affordable energy for everyone, sonnen GmbH has become the global market leader for energy storage systems. Since it was established in 2010, sonnen has installed over 40,000 “sonnenBatterie” systems worldwide, and supplies over 160,000 people with clean power from renewable energies through the sonnenCommunity. Digitalization is a key factor for further external and internal growth at the company. Renewal of the IT landscape holds great potential for standardized business processes and better business management of the company. For modernization of its IT landscape, sonnen GmbH has found in itelligence AG a reliable partner with extensive expertise that provides tailored solutions, implementation hosting and application management services and therefore stands out as a full-service provider. A dynamic environment needs tailored solutions for various business processes. The previously decentralized system landscape and largely inconsistent, cross-departmental end-to-end processes were no longer satisfactory. The biggest challenge was separate data management in logistics, financial accounting and controlling. These areas were to be improved in terms of uniformity, clarity, visibility and documentation. The solution is called SAP S/4HANA 1610. In a double sense. Controlling has taken a quantum leap forwards through the establishment of a consistent process that promises precious added value for the company. This includes precise cost calculation as well as a tailored online valuation of inventories. Purchasing and sales also benefit from the newly integrated approach to finance. Along with control and transparency of business processes, inventories and ongoing projects, employees also benefit: SAP Business Suite S/4HANA 1610 brings a breath of fresh air everywhere. Simplified process steps also help to establish process-oriented thinking and actions among employees. Implementation of SAP S/4HANA 1610 lays the foundation for optimized business processes, further growth and internationalization. Adapting the IT landscape is also important to the planned rollout in the USA (sonnen Inc.). The processes successfully implemented in Germany are being adapted and deployed there in close collaboration with our American itelligence colleagues.